Complex learning environments are normally composed of a lot of informal learning as all the learning taking place would be quite inefficient if placed in a strictly formal learning process. This means that you must not only support the formal learning though faster and smaller learning chunks, but also support the ever-increasing informal learning. 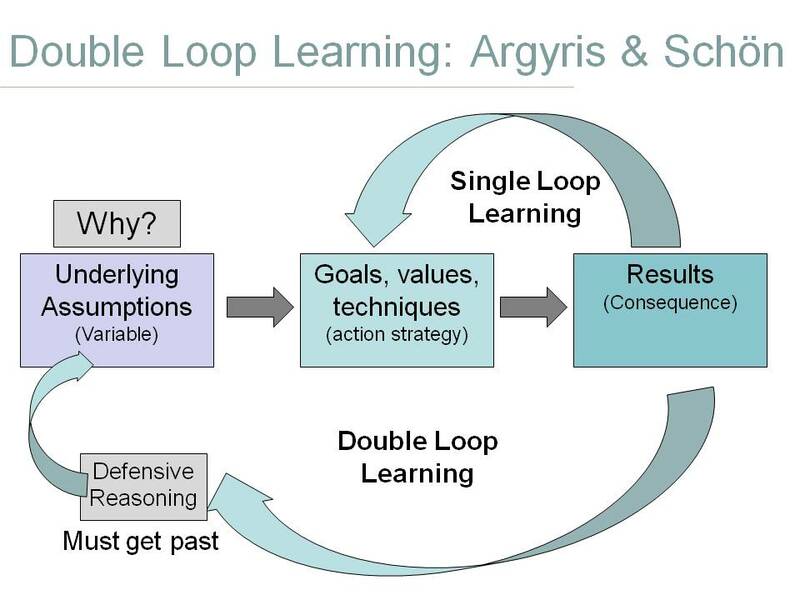 While there are many ways of going about this, this section will discuss two strategies for supporting informal learning,1) Using After Action Reviews to capture lessons learned and 2) the OODA Loop. Provide a microblogging tool to help others to learn about recent lessons learned. As noted in the section on costs, informal learning can be just as expensive as formal learning, thus the need to get more bang for your bucks. Part of its inefficiency is capturing lessons learned. That is, while a person or small group may learn something new, that learning is rarely or never passed on to others in the organization. Thus, while there may be a lot of informal learning occurring in an environment, a lot of the learning is repeated because nobody captured the lessons learned. This in turn means that it has to be completed again — from beginning to end. Classroom — Have the learners discover which of their projects will make good candidates for running through an AAR. Capturing the results of the four steps through mind maps that keep the steps aligned and use a visual mode that allows other learners to more easily understand them. Once the learners have learned to capture Lessons Learned and then actually put it to practice, they need to move them to a storage site, such as a wiki or SharePoint, so others may learn from them. Throughout my travels, I have noted that some of the most barren social media sites are often corporate wikis. This is because most were implemented in the same manner as the old Knowledge Management systems were — “write your knowledge down and then put it in the wiki.” Yet, as we soon learn, people don't want to waste their time creating content that someone might use. But fortunately, using a wiki as a site for Lessons Learned is the perfect vehicle as the content has already been created through the AAR process and what the participants have learned will more than likely be needed by others. In addition, we need one more tool for carry the Lessons Learned forward — a microblogging tool such as Facebook, Twitter, or Yammer. People completing a project — they can send a tweet to broadcast the highlights of Lessons Learned that put others in the loop. People starting a new project — they can announce their new project and ask if there is something that has recently been learned about implementing such projects. Now while some people and indeed, entire groups or teams will naturally take to such microblogging tools, others will not. Thus, you have to know your learners — do they need help with learning the new technology? Don't stop with just a class. Ensure you push the learning into the workplace by requiring them to complete a number of tweets per week or asking a number of questions. Hopefully this three-step process will be useful in your quest to support informal learning by capturing the Lessons Learned through the use of an AAR, storing it in a social site, such as a wiki or SharePoint for easy retrieval, and then providing a microblogging tool, such or Twitter or Yammer, to help others to learn about recent lessons learned. It is composed of four actions (Observe, Orient, Decide, Act). While we are still far from having the perfect filters, we are at least heading in the right direction. 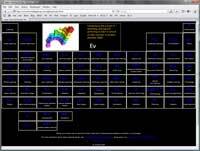 For example, I have a list of some of the resources that I use, to include on-line publications, discussion groups, web sites, and blogs that provide me with information about the learning industry. The ones with RSS feeds provide the most value as they feed into my browser and it is set up so that I only get a small portion of the content. Thus, I can quickly scan the latest feeds and then click on them if I determine they have information that interests me. Organizations can help their workers by setting up master portals of relevant links and feeds for each of their various workgroups, and then using a learning platform to help the workers to select the ones that pertain to them the most so they can build their own personal learning environment (PLE) for scanning their environment. Another useful tool is the ones that belong in the microblogging category, such as Twitter or Yammer, that not only allows our network to send us relevant information and vice-versa, but also allows us to ask for help when we are trying to find information. This may also require a learning platform that will help the workers to learn to send useful information without flooding their coworkers with useless information. In addition, organizational blogs allow the workers to easily publish their observations so that others may benefit from them. An added benefit is that the readers can provide comments so that the observer/writer receives feedback as discussed in the next part of the action loop — Orient. 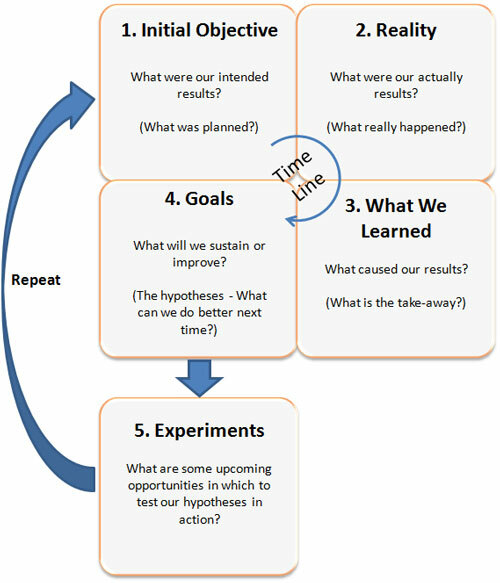 The second part of the action loop is synthesizing the data and information gathered during observing into a mental image of the circumstances. As more information is received, you deconstruct old images and create new images. Within this part of the action loop you have to question past beliefs to see if they still hold true when compared to the new information. Another example is the U.S. Army, who is best known for creating teams rather than groups, and having to design a special environment (AAR) so that the troops could learn from their mistakes, rather than playing the blame game. 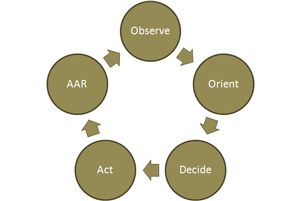 Boyd also noticed this phenomenon in that he spent most of his time emphasizing orient in the OODA loop so that people could make a valid choice. The learning profession also shows this trait of failing to orient themselves in that they rush through the analysis part of a project so fast they fail to properly align the learning platform with real business needs. Secondly, they fail to scan the environment far enough ahead, so rather than designing learning processes, they end up with a learning event that fails to transfer to the workplace. And finally, they fail to evaluate their original beliefs, thus, rather than capturing lessons learned, they are doomed to a cycle of repeating their mistakes. No wonder we always hear the old mantra, “ADDIE must die!” — we would rather rush ahead with ill-designed rapid development programs that simply concentrate on development and delivery, rather than properly orientating ourselves to the present environment. Interpretive: Paraphrasing by attempting to explain what the other person's statement means. Notice that we often make judgments more often than we try to understand. Thus, a formal learning strategy is needed to help the workers develop skills that allow them to question their beliefs and asking probing questions to see if their beliefs are still valid. In addition, this needs to stretch in the other direction so that when others ask for our opinions, we use the five categories of feedback in the proper direction — we gain a level of understanding by using probing, supportive, and interpretive feedback before we provide an evaluation. Secondly, the microblogging tools mentioned in the Observing portion of the Action Loop can be used just as effective, if not more, to get the a broader range of opinions from others. In addition, the use of wikis or other social editing tools, allow teams performing the OODA Loop to rapidly edit group documents as they reorient themselves. The use of PLEs with RSS feeds, blogs, microblogging tools, and wikis in the OODA loop allows the workers to consider all the options and select a subsequent course of action. Note that in combat or when competing against your competitors, you want to cycle through the four action steps faster and better than the enemy does, hence, it is a loop. Also, you do not select an action because it is the most effective, but rather an action that your competitor or enemy is least expecting (Corma, 2004). Department of the Army (1993). A Leaders Guide To After Action Review (TC 25-20). Osinga, F. (2007). Science, Strategy and War: The Strategic Theory of John Boyd. London: Routledge.